Dealer eProcess is now part of The Amazing Digital Experience by Lexus program. That means Lexus dealers can now experience all of Dealer eProcess’ advanced tools and technology, according to Dealer eProcess. Dealer eProcess says the program’s various benefits for dealers include transparent provider performance, in-dealership digital consultations, value-added digital tools, and support from the new Lexus Digital Concierge team. The company says dealers in The Amazing Digital Experience by Lexus program can use various website options to provide what it says is an “optimal user experience.” Among those options for dealers are OEM-provider integrations and tagging that it says provides greater visibility into digital performance. Lexus website designs that dealers in the program get to choose from are fully responsive and ADA compliant, according to Dealer eProcess. Within each section of the websites are high-converting elements such as the user-focused search results page and advanced vehicle details page, voice search and various chat and bot options. 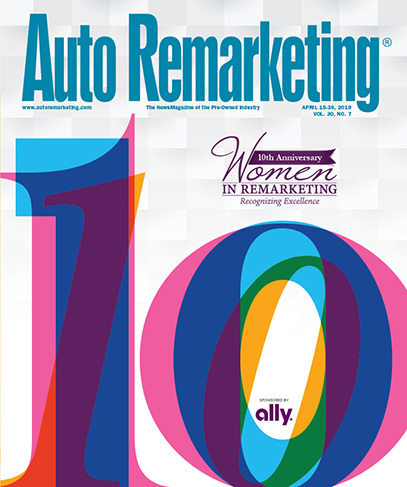 Dealers in the program can use tools such as Local SEO and Reputation Management, DriveCentive, and DEPi to target their unique set of customers. The CARoi DMS Attribution platform gives dealers a view of where they are getting sales from website and digital marketing.